It's cool to use the iPad as a monitor, but it's not "running" macOS. Weep not for the state of tech coverage on the Internet, dear reader, for it is already dead. Did he, now? Well… no! He did not, as we’ll see. “Run” in the headline has since been changed to “use” but the article itself is still as charmingly wrong as a Rankin-Bass Christmas movie written and directed by Quentin Tarantino. The YouTuber Jonathan Morrison has pulled off something iPad and Mac fans have been dying to see: a full version of macOS, Apple's operating system for Mac computers, running on an iPad. No! All Morrison has done is hooked up a Luna Display to a Mac mini in order to use the iPad Pro as a monitor. That’s no knock against the Luna Display (or Morrison) which looks like a neat little device, but macOS is not “running on an iPad” any more than your TV is a Defender of the Universe when you watch Voltron. Smith does point out that the iPad is acting as a monitor, but where he gets it wrong is not simply a matter of semantics. The software runs where the processor is, not where the screen is, and people who write about technology should be careful about how they explain how it works. Also, “found a way” makes it sound like Morrison engaged in some kind of MacGyver-like construction using the spring from a ball point pen, a hard-boiled egg slicer and a wad of chewing gum. Is it really “finding a way” if the company sends you a review unit, like Astropad probably did for Morrison since he has 2.6 million subscribers on YouTube? This also isn’t even the first or only way you can use the iPad as a monitor for your Mac. 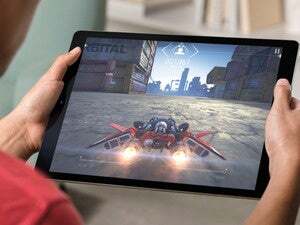 Smith links to a piece he wrote explaining why the iPad Pro failed as a work computer for him after using it for less than a day (partly because he doesn’t know there is more than just one way to select text in iOS) which is fine… for him. 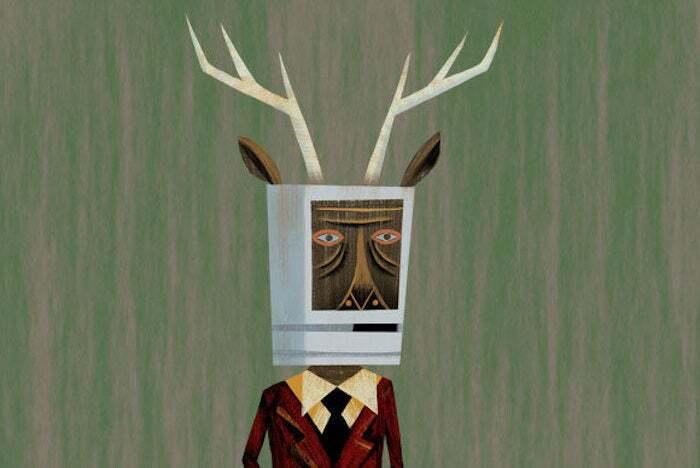 The Macalope will never tell anyone they must use a particular device, but let’s just say that if Smith’s piece had to fight a contrary piece by Federico Viticci about using the iPad Pro for work in a cage match, they’d be removing Smith’s piece using a mop and a bucket. The Macalope will never understand why some people cannot accept the fact that while they can’t or don’t want to use the iPad to do work, that doesn’t mean that no one else can either. One thing is clear, however, we will continue to have this argument for the rest of eternity.